About a week ago, I took advantage of a one day free shipping promotion Leeke World was having and bought 2 more wigs, and 2 small hair pieces. 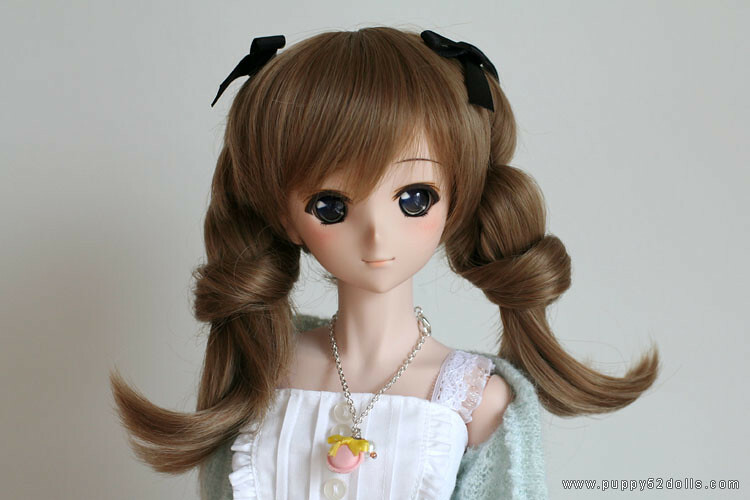 I found out about the hair pieces thru miuofstars on her Sakuno post, had to get a couple for my Aki ^^; I think it will look cute on Himitsu too, I should try it on her sometime. Next up, LR-020_E in Golden Rod. 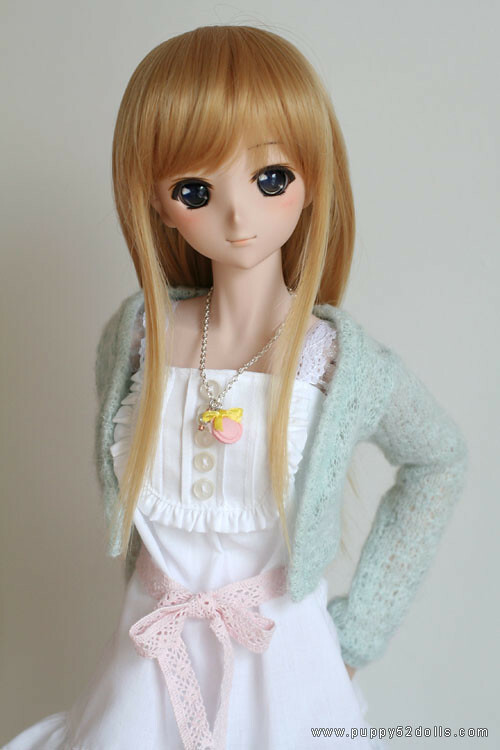 I have been looking for a blond or light brown wig for Mirai (Yukino) as her main wig for the longest time, haven’t really found one which we’re satisfied with yet. 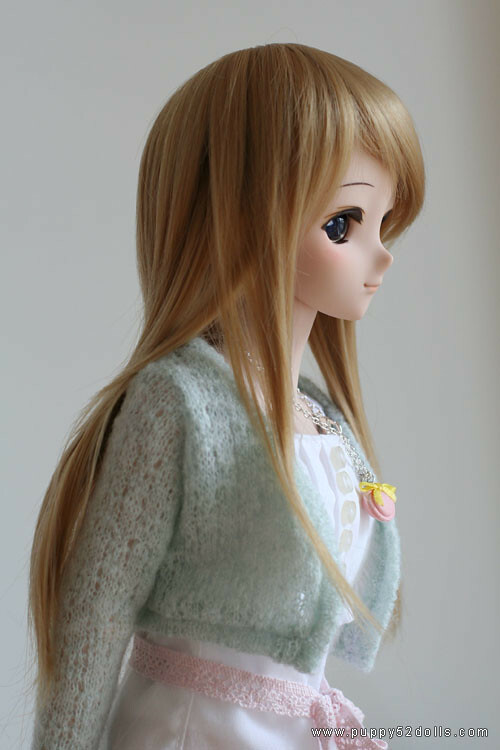 I do like the bangs of the style of this wig, but I must mention, due to the DDH03 head being one of the smallest Dollfie Dream around, the wig is a bit loose ^^;, The other wig is way too big for Mirai, even tho it’s the same “E” size. This wig fits Aki a bit better, not as loose. I think the bangs sits on Aki’s face a lot better too. So final verdict: it’s still a hit and miss, buying wigs online, really hard to find the right style… But I must say I am impressed by the really quick EMS service, despite it being a free shipping offer. The wigs are packed in zip lock bags with cardboard re-enforcements and wrapped around with a bubble wrap, and mailed in a shipper box. I was happily gonna buy several things I been eying at Leeke since last year because of this event. Alas, for the wigs none of the colors I wanted where in stock same for shoes. Does Aki just look good on anything? I’m beginning to think that. 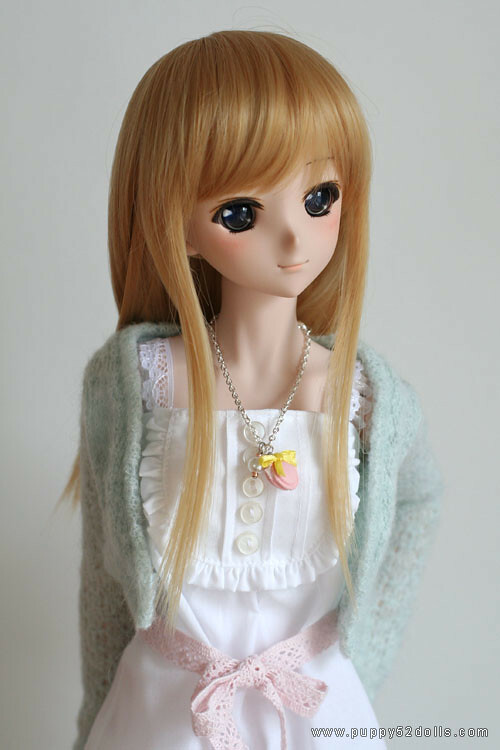 Love the LR-020 E model, have a Sandy Brown one on my DD Shizuko (fit for Shizuko was perfect, though I do have a Volks M head cap on too). 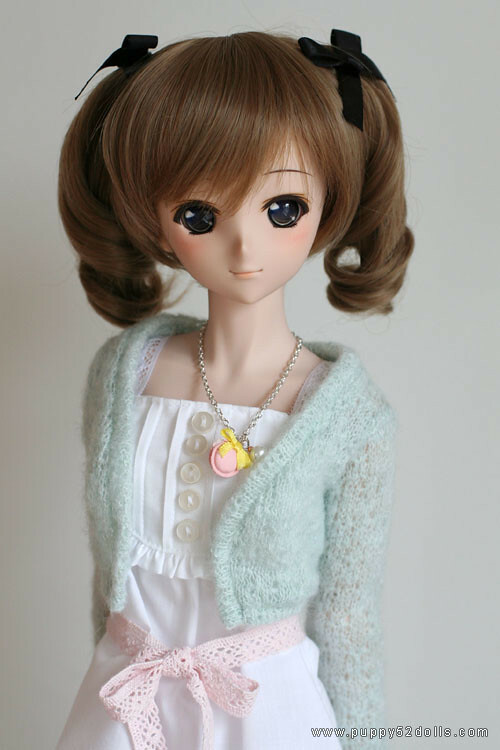 Do think this one looks fine on the DD03 Yukino as well as on Aki. They look lovely with both wigs. 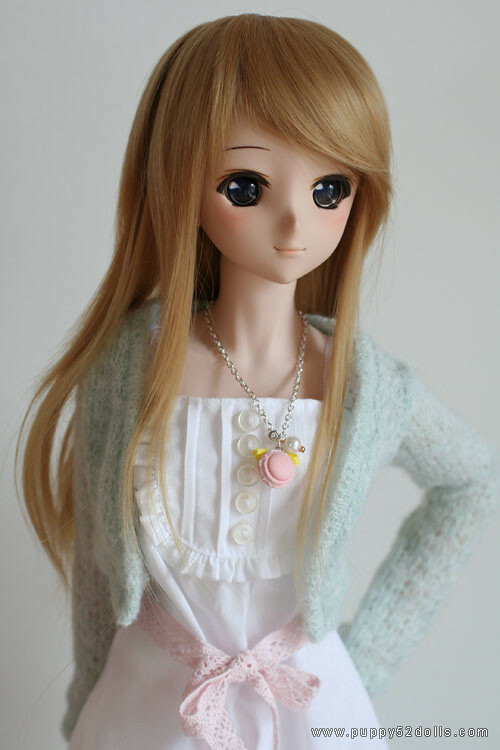 Nice styles for the girls, Aki looks great in the last wig sandy brown. 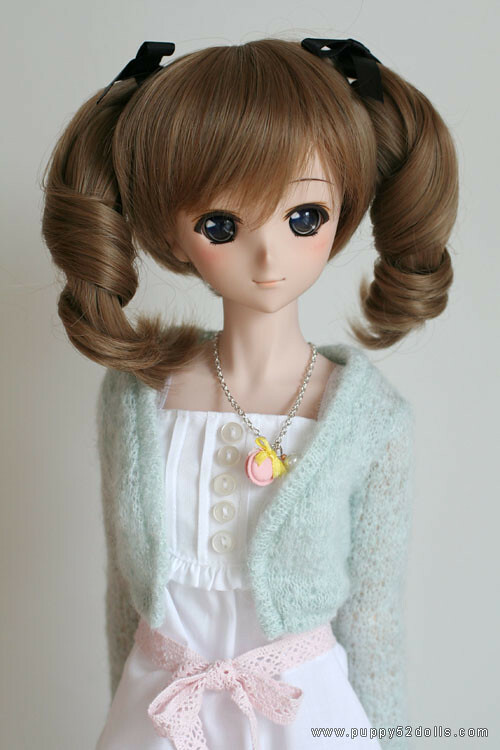 Want to see Himitsu in the twintail wig! I think it might really suit her! I like Leek’s wigs and save up to order with them. All mine are leekeworld wigs. My experience has been they are a loose fit on HD-03, A good fit on HD-02, and a tight fit on HD-01. Will have to look into these extension pieces!